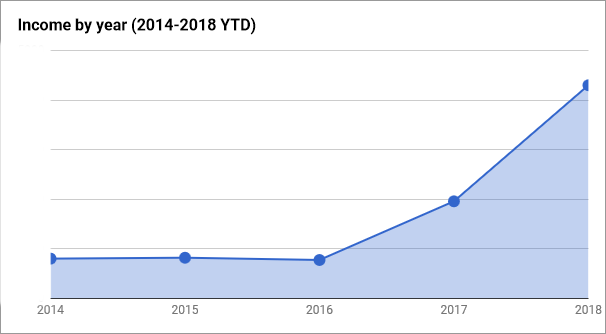 What I can show you is my income from Twin Robots since its launch back in December 2013, both by year and by platform, but with percentages instead of actual sales numbers. 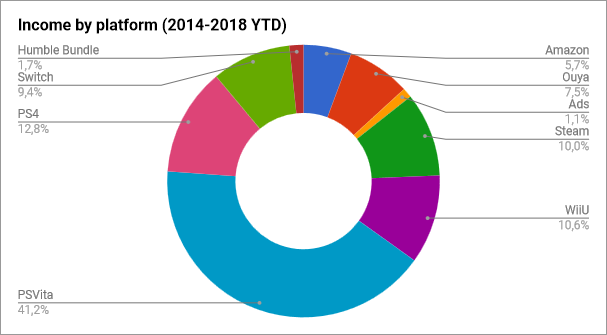 Nintendo Switch version shows great promise, it currently sits at almost 10%; just about the same that the Steam version; The difference being that it’s been out for just 1 month while the Steam version has been out for 2,5 years. 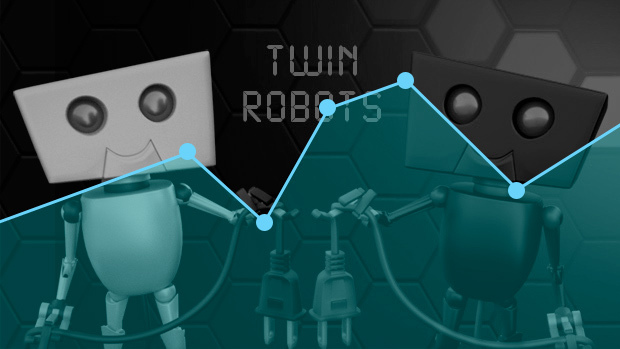 I suppose Steam revenue would be higher with a different kind of game, since Twin Robots is a casual game and maybe not a good fit for Steam audience… but I don’t really know. So, what can you get out of this post? Don’t stop supporting your game too soon, you never know what opportunities lie ahead of you!